In a suburb just outside Dallas you can find one of Texas Ducks Unlimited’s most brilliant gems: the Ellis County chapter. 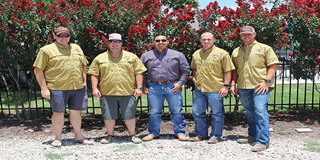 This highly successful chapter has hosted its annual event in Waxahachie since the early 1990s. Eventually outgrowing the dirt-floor rodeo arena where they originally held their banquet, the chapter moved the event to the Waxahachie Convention Center and now boasts a sellout crowd of more than 1,000 attendees each year. The event’s immense popularity is thanks to Ellis County’s dedicated committee members and longtime area chairman John Reagan. For more than 15 years, John has pushed his team to make the banquet a smashing success.